The scientific method is the systematic pursuit of knowledge involving the recognition and formulation of a problem, the collection of data through observation and experiment, and the formulation and testing of hypotheses. With Chiropractic we recognize a problem when you come into our office in pain, we collect data through observation, taking a history, and testing. We then form a hypothesis and call it a differential diagnosis. We apply treatments that have either worked in the past for similar conditions or we suspect will work based upon our knowledge and understanding of the human body. If treatment does not provide results we acknowledge the lack of results and re-assess our hypothesis, and present additional treatments or referral. 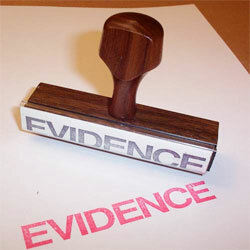 The question implies an additional question; is chiropractic backed by solid evidence? This is a harder question. Only between 10-20% of all medical treatments are actually supported by solid evidence, according to Dr. David Sackett founder of the Oxford Center for Evidence-Based Medicine. This isn’t to say t hat only 2 in 10 people get evidence based care. There are thousands of treatments out there, and only a hundred or so are commonly used. Dr. Sackett guessed that, more than 20% of all treatments rendered were based on evidence. But he was unable to say how much more. Chiropractic is relatively new on the scene as an organized profession, and has had to battle it’s way into the mainstream. As a consequence of this, more studies have been done on chiropractic treatments than many of the common medical treatments for the same conditions. So… by this evidence, chiropractic could be considered to be the most scientific health care profession. This entry was posted in Chiropractic in General and tagged evidence, Evidence based, research, science, study on June 24, 2008 by cmnacnud.